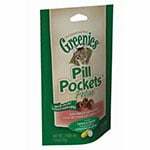 The Greenies Pill Pockets help you to give the pill or medication to your cat eliminating the stress, frustration and confusion. Chicken flavor. 45/pk of treats per bag. Case of 6. 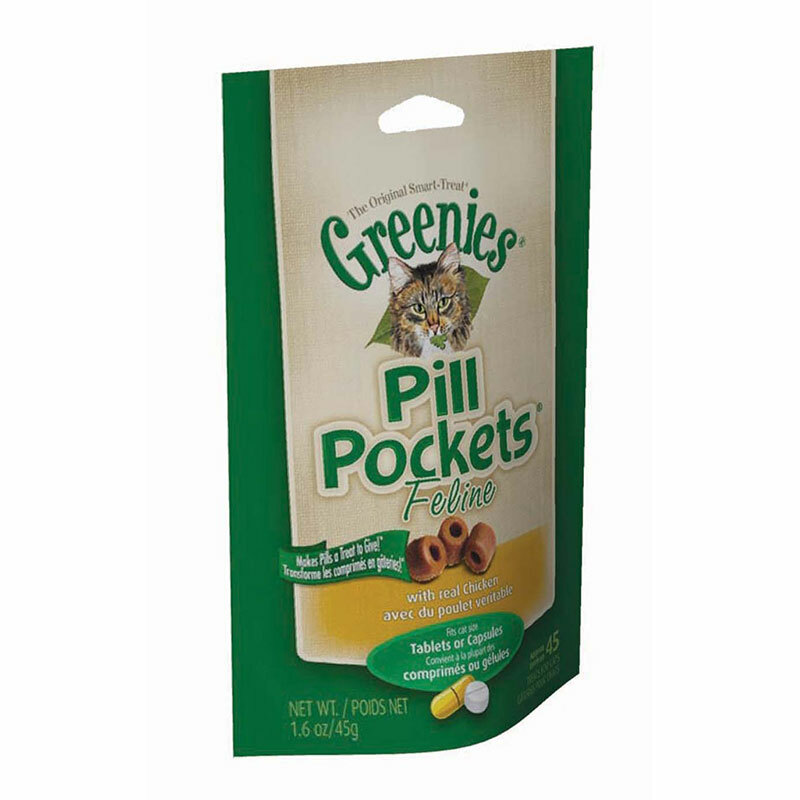 I've been using Pill Pockets for years. My cats have always seemed to enjoy them. I do have to say that recently - within the last five or six months maybe - the size of the Pockets has been severely reduced. I did look at the bags, and there hasn't been an change in size/weight listed on the bags, but the product is definitely smaller than it used to be.